It’s time to start filling up your diary for the fall and winter! 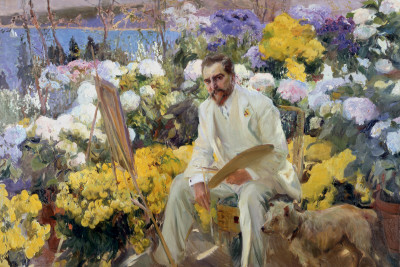 Though it seems far off now, why not book tickets to the Painting the Garden exhibit at the RA? According to the RA: “This major exhibition examines the role of gardens in the paintings of Claude Monet and his contemporaries. Spanning the early 1860s to the 1920s, a period of tremendous social change and innovation in the arts, it will include Impressionist, Post-Impressionist and Avant-Garde artists. The exhibition will bring together over 120 works, from public institutions and private collections across Europe and the USA, including 35 paintings by Monet. Arguably the most important painter of gardens in the history of art, Monet was also an avid horticulturist who cultivated gardens wherever he lived. As early as the 1860s, a symbiotic relationship developed between his activities as a horticulturist and his paintings of gardens, a relationship that can be traced from his early years in Sainte-Adresse to his final months at Giverny. ‘I perhaps owe it to flowers’, he wrote, ‘that I became a painter’. A rich selection of documentary materials including horticultural books and journals, as well as receipts for purchases of plants and excerpts from letters, will be included in the exhibition. Highlights of the exhibition will include a magnificent selection of Monet’s water lily paintings including the great Agapanthus Triptych of 1916-1919. It will be the first time this monumental triptych has been displayed together in Europe. This exhibition will be among the first to consider Monet’s Grandes Décorations as a response to the traumatic events of World War I, and the first to juxtapose the large Water Lilies with garden paintings by other artists reacting to this period of suffering and loss. Painting the Modern Garden: Monet to Matisse | Exhibition | Royal Academy of Arts. This entry was posted in Art, Book Tickets Now!. Bookmark the permalink.